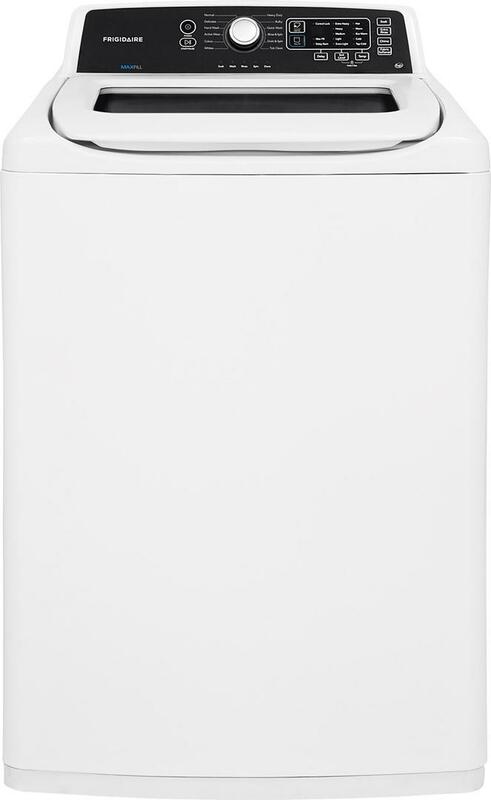 This Samsung 30 in. 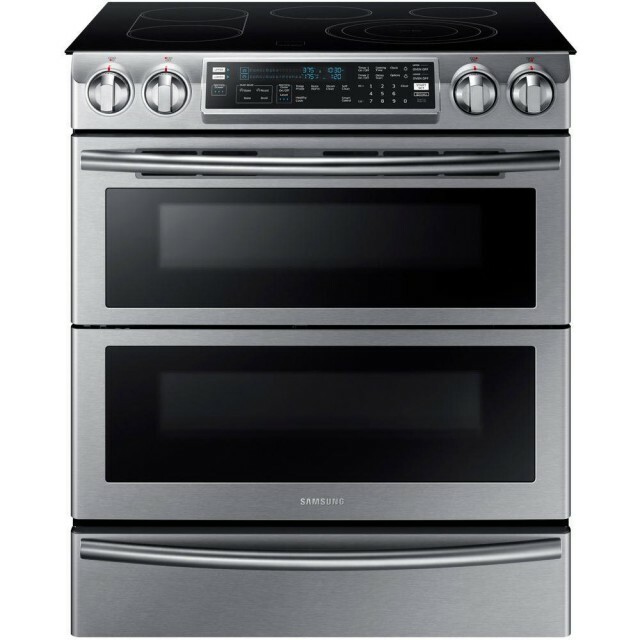 Flex Duo Slide-In Double Oven Electric Range with Dual Door gives you ultimate cooking flexibility, with two independent temperature controls and convection systems and a removable Smart Divider, so you can cook multiple dishes simultaneously with little to no mixing of odors or flavors. 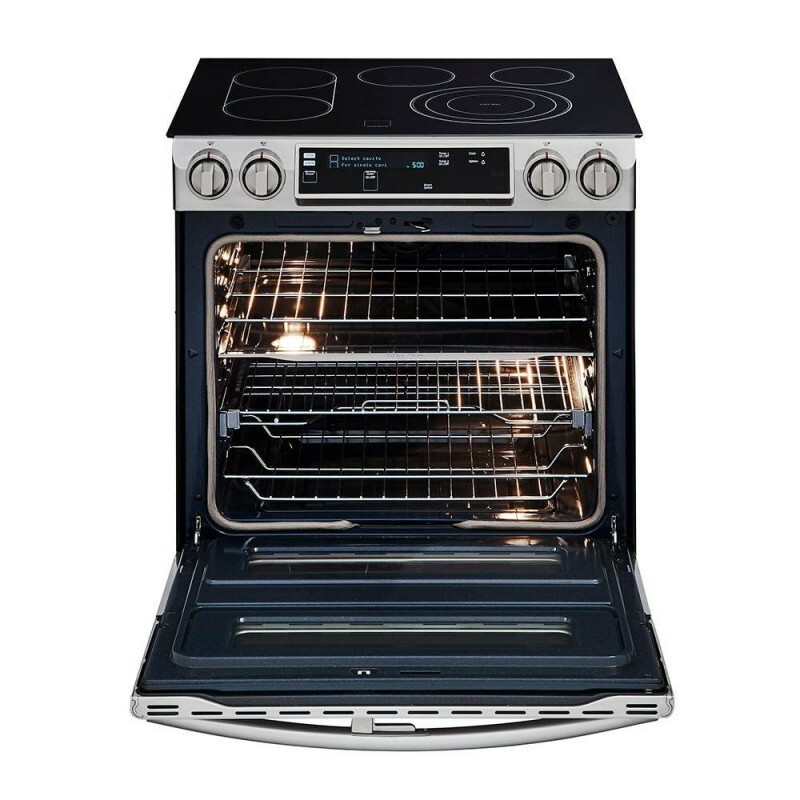 A hinged door gives you access to just the top compartment or the full oven. 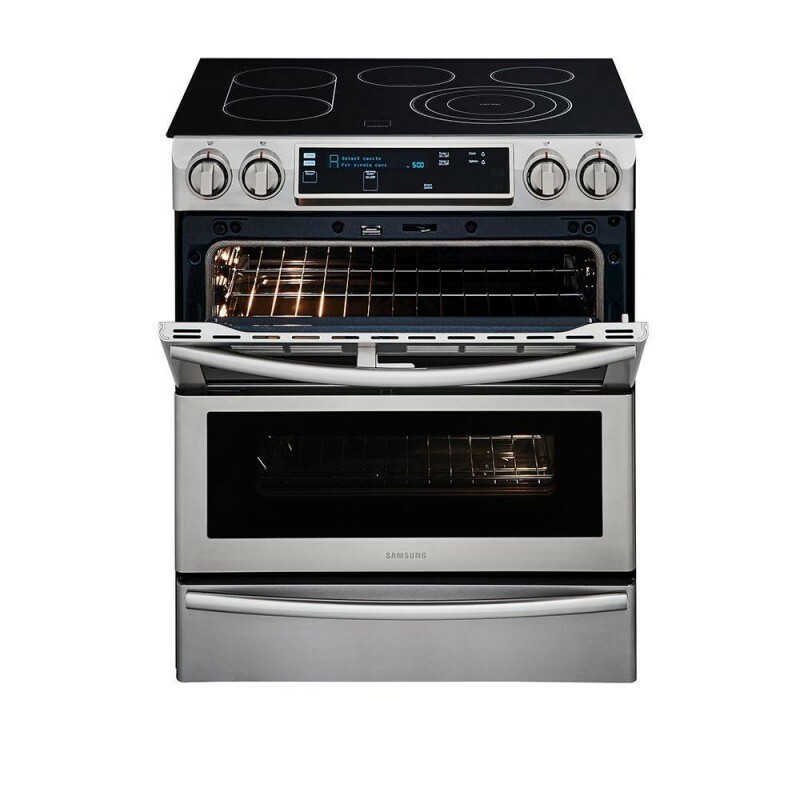 Distinctive blue LED-illuminated knobs let you know if your cooktop is on, even from across the room. Preheat, adjust or turn off your oven from anywhere with Wi-Fi connectivity. Buy the extended warranty Oven stopped working at exactly one year. Parts not available for at least weeks as high demand for repairs on this model. 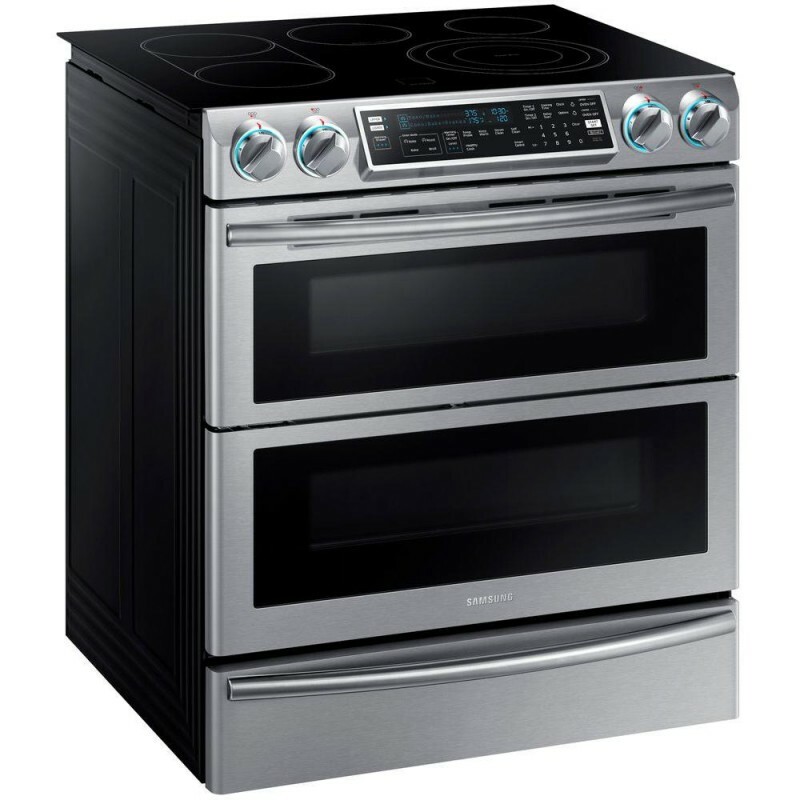 Love the new Stove Wife love's all the features and it made Thanksgiving a breeze to prepare! On to the Christmas Cookies- WAHOO! Great Product This stove cooks great and looks great. Love the dual oven.